Plans for the new battery plant. THE GOVERNMENT has granted £80m to build a new national battery facility in Coventry and Warwickshire, which it is claimed could create thousands of jobs. The Warwick Manufacturing Group (WMG) says the new centre will make the West Midlands the engine for the research and development of pioneering battery technology. Greg Clark, the secretary for business announced the funding for the WMG – an alliance between the Coventry City Council, Coventry and Warwickshire Local Enterprise Partnership and the University of Warwick. While at an energy conference at the university, Mr Clark said: “Battery technology is one of the most game-changing forms of energy innovation and it is one of the cornerstones of our ambition, through the Industrial Strategy and the Faraday Challenge, to ensure that the UK leads the world, and reaps the economic benefits, in the global transition to a low carbon economy. The new facility will enable UK based companies and researchers to come together to build and maintain a world leading position in manufacturing technologies for batteries and their components in vehicles and transportation. Representatives say it will provide a crucial new strategic link between the research, development and full-scale industrialisation for UK battery technologies. The WMG said it will remain independent from commercial interests and it will be governed with transparency. It added skilled employees are the critical resource for sustainable and competitive manufacturing of batteries in the UK. 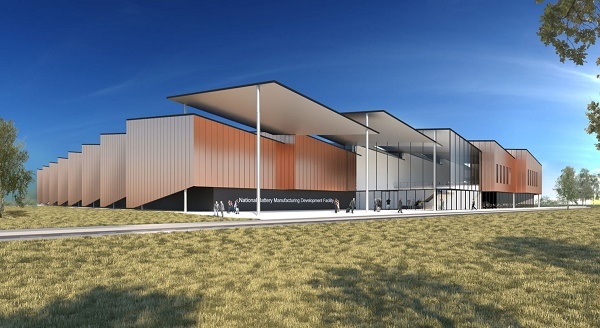 A new learning facility will be created to train the future skills base in all elements of battery manufacturing. It will enable the development of the next generation of battery systems across battery chemistry, electrodes, cell design, module and pack levels. WMG has been working for 15 years with industry to develop new battery technologies. More recently they have been working through the APC Spoke, the National Battery Scale Up facility and the Energy Research Accelerator. It has vast array of research projects already underway looking at everything from new battery technologies, how to scale up battery manufacturing and even a project exploring how to recycle and reuse such batteries. Professor Lord Bhattacharyya, Chairman of WMG said the facility will be at the heart of the drive to make the city a smart motor city. He added: “We are delighted to have been successful in the bid to create this new national battery facility here in the Midlands.